The Governor of Rivers State, Nyesom Wike, has dismissed reports of rift between him and former President, Goodluck Jonathan. The Governor, through his Special Assistant on Electronic Media, Simeon Nwakaudu, said that there is no friction between Jonathan and him (Wike). 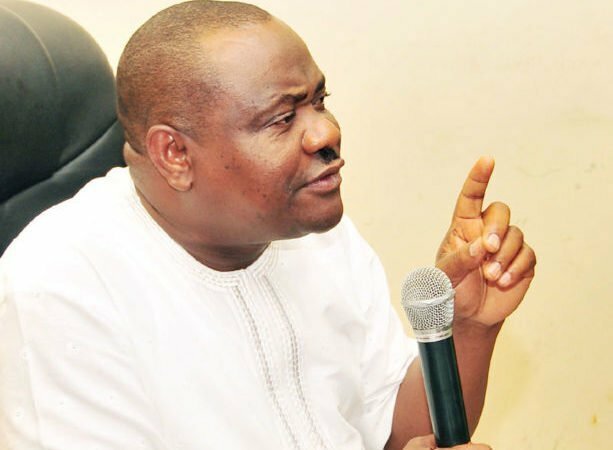 This was conveyed in a statement on Sunday, where Wike’s aide said, “Our attention has been drawn to a fictional pattern of reports being planted in the media by enemies of the Peoples Democratic Party (PDP) wherein they allege that Former President Goodluck Jonathan and the Rivers State Governor, Nyesom Ezenwo Wike are at loggerheads over political issues. “These reports are patently false and merely concocted by enemies of the PDP to deceive Nigerians ahead of the forthcoming elective National Convention of the Party. “The Rivers State Governor, Nyesom Ezenwo Wike and Former President Goodluck Jonathan are working together to rebuild the PDP and re-position it for victory in all future elections. “Contrary to the views being canvassed in the reports planted by the agents of the APC in sections of the media, there is no premise for any political disagreement between Governor Wike and Former President Goodluck Jonathan, whom he served as a loyal Minister. “The Presidential Ticket of the PDP has been zoned to the North, while the National Chairmanship of the Party is Zoned to the South, hence there is no basis for the speculation that there is a conflict, where none exists.